Olmstedville; Patricia Lucille Donnelly Hewitt (Patty) passed away peacefully Saturday May 12, 2018 at home surrounded by family and friends. Patty was born May 2, 1931 in Olmstedville, the daughter of the late Francis and Nora Phelps Donnelly. She was also predeceased by her sister Shirley McNally. Patty married Franklin Armstrong Hewitt June 25, 1955 at St. Joseph's Catholic Church in Olmstedville. Patty Graduated from Minerva Central School in 1948; she graduated from Plattsburgh State College in 1952 with a BS in Elementary Education. She completed 30 + hours above her BS and then received her Master's Degree in Speech and Hearing from the College of Saint Rose in 1969. She retired from Johnsburg Central School in 1995 after 42 years of teaching. Almost everyday someone would say, "you were my kindergarten teacher!" and they would recall a story or character they played in one of her class productions. Patty had an active, happy life. Friends will remember the many activities and organizations she was involved in. She passionate about genealogy, crafts, decorating for holidays and collecting buttons. She also enjoyed reading, puzzles and painting. She and Franklin enjoyed traveling covering all 50 states as well as Route 66 and National Parks. Mount Rushmore was her favorite and they visited there 3 times. She took many trips to Nashville and Branson, three trips to Ireland, 4 weeks in Europe and 4 cruises. Patty was very proud of her Irish/Minerva heritage. 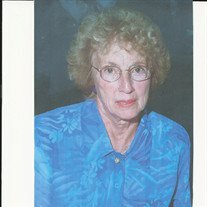 She was active in the community for many years, serving in numerous ways. She was often in charge and doing the organizing. She was excited that the next generation has continued, improved and expanded many of the Town of Minerva and Irish traditions, as well as creating new activities and events. She was optimistic that future generations would continue to make the Town of Minerva a great place for the young and old. Patty is survived by her husband of 63 years, Franklin Hewitt, her daughters Marie (Tim) O'Brien and Shirley (David) Ware, her grandson Patrick Francis O'Brien and several nieces and nephews. A funeral mass will be offered at 11:00 AM Friday May 18, 2018 at St. Joseph's Catholic Church in Olmstedville, interment will follow at St. Mary's Cemetery in Irishtown. A celebration of Patty's life will be held from 5:00 PM until 7:00 PM Thursday May 17, 2018 at the Edward L. Kelly Funeral Home, 1019 US Rt. 9 in Schroon Lake. In lieu of flowers the family requests memorials take the form of donations to; Francis Donnelly Scholarship Fund, make checks to Minerva Central School with Donnelly award in the memo line, c/o Minerva Central School, PO Box 39, Olmstedville, NY 12857, High Peaks Hospice, 47 Tom Phelps Way, Mineville, NY 12956, Minerva Rescue Squad, PO Box 924, Minerva, NY 12851, Minerva service Organization, PO Box 922, Minerva, NY 12851, Minerva Historical Society, PO Box 1,Olmstedville, NY 12857 or St. Joseph's Church, Olmstedville, NY 12857..